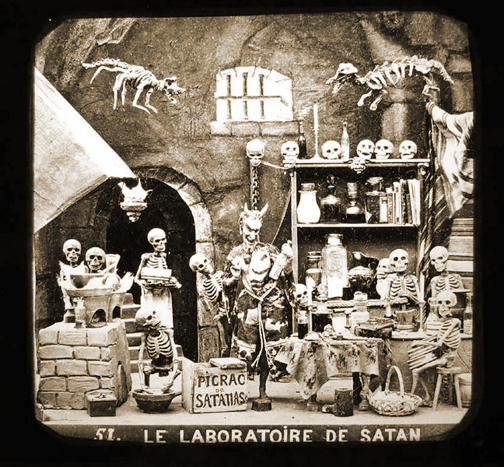 Diableries were French stereo photographs (two images viewed at once to create a 3d effect) made during the 19th century. 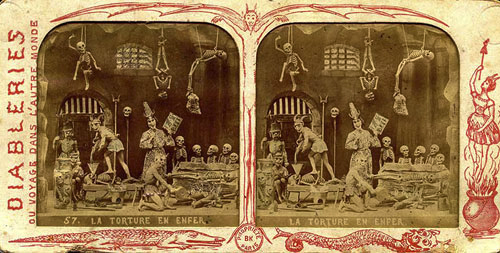 They depicted Satan in daily life, historically noted as a critique on the rule of Napoleon III. 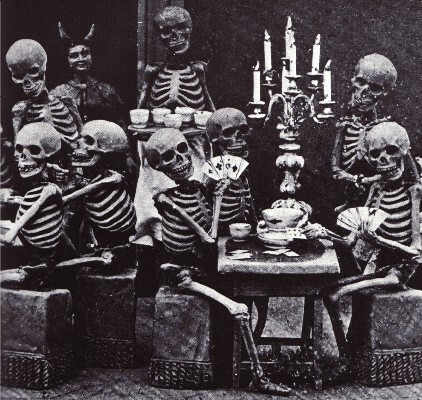 Due to their unsavory depiction of the elite, the creators did not provide many clues as to who they were. 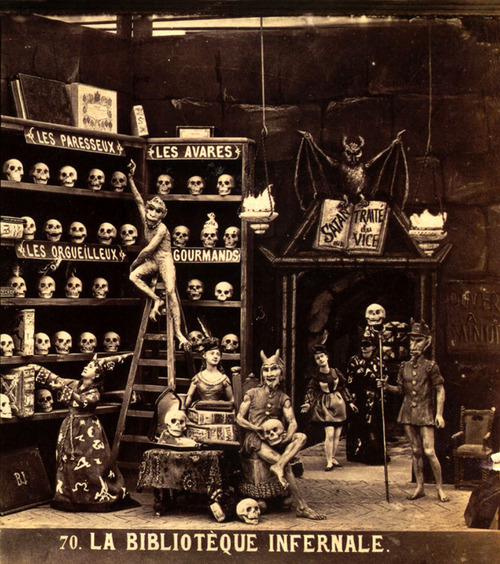 For more information, please visit That’s A Negative and Laughing Bone, for this is where I have obtained most of the information and images. 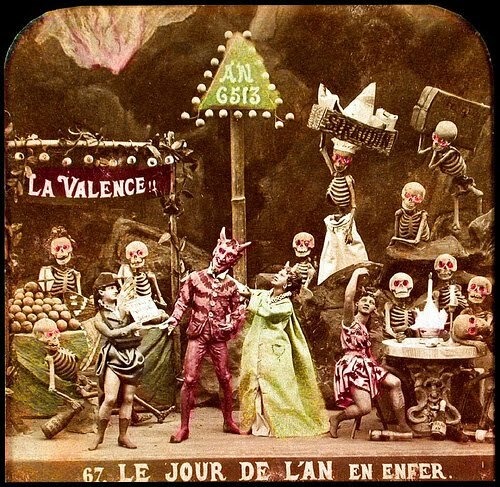 This entry was posted on June 26, 2011 at 10:30 am and is filed under Art, Photography, Satan with tags 1800s, 19th century, 3d, devil, diableries, france, french, les diableries, napoleon III, photography, photos, satan, skeletons, stereo. You can follow any responses to this entry through the RSS 2.0 feed. You can leave a response, or trackback from your own site.